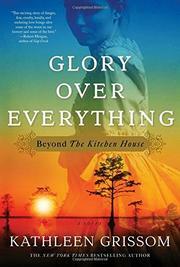 A continuation of Grissom’s (The Kitchen House, 2010) gripping saga of escaped slaves in the 1830s. Although this book, as advertised, stands alone, it will enrich the reader’s experience to start with the first volume. Here, James "Jamie" Pyke is the main narrator. The son of Marshall Pyke, master of the Tall Oaks Plantation, and the slave Belle, Jamie looks white, and when, on the run after killing his father, he encounters another fugitive slave, Henry, the latter advises him to “pass.” He does so, apprenticing with Mr. Burton, a Philadelphia silversmith. Although a jealous housemaid, Delia, discovers letters from Tall Oaks and threatens him with exposure, James is adopted by the Burtons. Eventually inheriting both the Burton shop and the family fortune, he becomes a painter specializing in ornithological illustration. But when his lover, Caroline, a married socialite, gives birth, her father forces James to flee Philadelphia. Before taking refuge in Virginia with his loyal butler, Robert, and his infant daughter (sent to him after Caroline’s death in childbirth), James is compelled by a promise he had made to journey back to slave territory to find Henry’s 10-year-old son, Pan. Ignoring Henry’s warnings, Pan had ventured to the Philadelphia docks and was kidnapped and sold South. On the way, he is brutally beaten for complaining about another child’s mistreatment and spends weeks in a “sick house,” a makeshift hospital at a North Carolina plantation. James manages to learn Pan’s whereabouts and ingratiates himself with a neighbor family, the Spencers, but his negotiations to purchase Pan fail, and he himself is in jeopardy. Luckily though, the Spencers are a stop on the Underground Railroad. But brutal slave tracker Rankin is closing in.